We would like to share an exciting update with you. 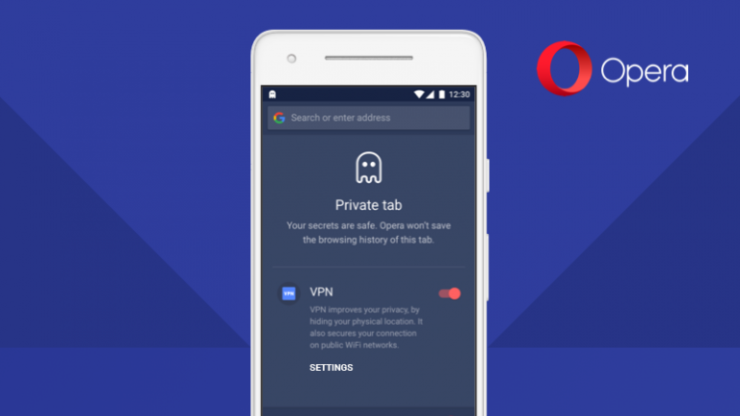 Today, we have started testing our new built-in browser VPN, or virtual private network, feature in our Opera for Android browser. Beta users around the world are among the first ones to test our free, unlimited and no-log VPN feature. Opera was one of the first major browsers to integrate a free VPN into its desktop browser; a feature that became an instant hit among users. The advantage of an integrated VPN is that you don’t have to download a separate app. To use the VPN, all you need to do is tap on “Settings” in your Opera browser and activate VPN. Opera claims that it doesn’t keep any logs of user activities, but only time will tell if that’s true. You can let the browser determine your location or manually set it, depending on your preference. Alternatively, you can use the VPN all the time except for searches so you get local results. The in-built VPN follows other useful features such as cookie dialog blocker that pops up on just about every website. 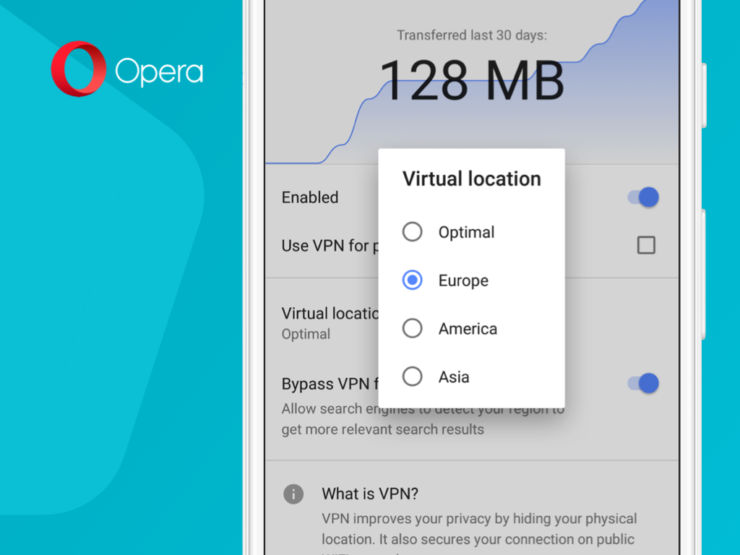 The VPN service is available only in the beta version of the Opera browser, but we can expect it to make its way to the final release soon. If you want to check it out, download the Opera Browser Beta using this link.